How does this happen? – maybe road changes that are not shown anywhere ? On this road, there are no people to ask directions- so your choice is to go back, to your starting, and redo your route. Or continue on your journey and hope something pops up on the road, to make you – unlost… being a man – what do you think he choose ?? yep !! keep going and hope for the best ..
On this road ( i think its A13, but can’t be sure), endless curves in the road, stone houses that look very old. Cows in the fields, taking in their daily grass meals.I saw sheep, newly shaved , their pounds of wool taken off their bodies,to be cleaned and spun into fabrics for sweaters and coats. The sheep, not too worried, but looking small- eat the grasses. I noticed a few dogs, on the outside of the herd of sheep. I recognized them to be Austrian Heard dogs, and knew , they were on duty to protect these wonderful creatures from any dangers. Then it happened – somewhere on this road, something because very familiar to me . I could not get over the odd feeling of knowing this place ; It was a very strange feeling, not logical at all; i have never been on A13 in my life, so having a familiar feeling went against everything logical. I had Nic stop the car, as we stepped out to stretch our legs. I grabbed my camera, thinking maybe something will make sense, if i take some pictures. We saw a farmer, in the back of the field, working on creating his bails of hay. Due to the large amount of cows and sheep in the area, this was normal routine. with the summer comes work for the coming winter days. As a good farmer, he works to ensure his animals had tons of food for the cold days ahead. 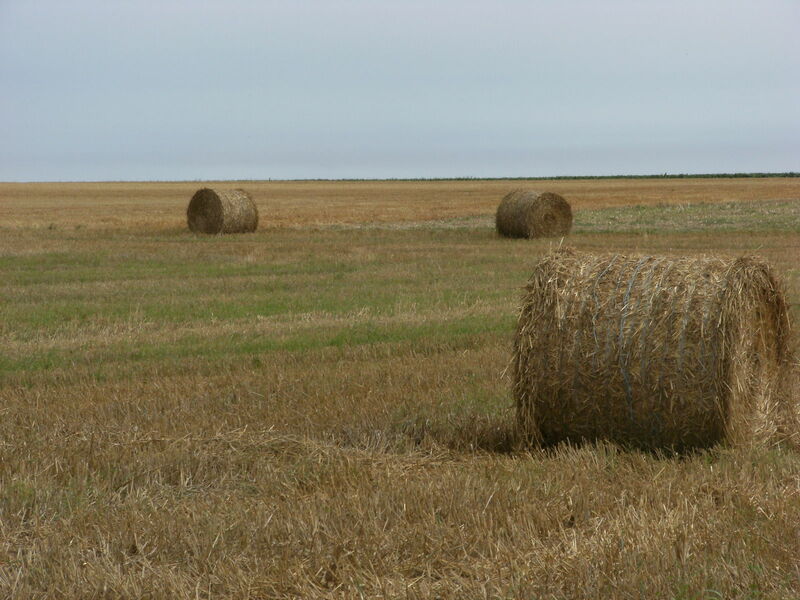 It was not until we arrived in the hotel that it occured to me, why i felt a familiar about that field of straw. 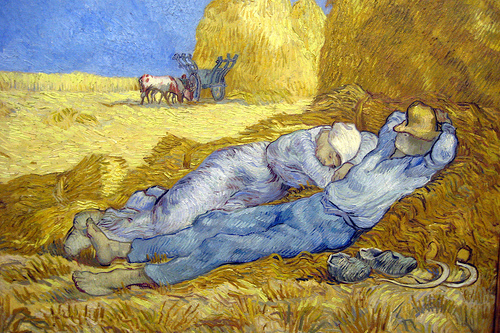 It comes from my favorite painter, Van Gogh. I adore this painter, for I feel he wanted to share the intensity of colors, and with this , comes passion for nature at her purest. The yellows so bright, it can blind you. The blues so deep, they absorb you. Yes, now it made sense to me.. I was at that field before, I saw that bail of hay years ago. I was standing in a museum, and was drawn into Vincents world, he took me to to a working field – and showed me the absolute beauty of a simple farmer working his fields. Thank you Vincent for bringing me to this beautiful place the first time, and thank you Nic for driving me to a field of Vincent. Merci and many congratulations on your marriage to Nic. How exciting to be in the country side, and learning about your new country. We too, do not like to take tours. We like to talk to people along the way. I have never bloged so this is my first. All’s well here, fall has arrived with a few cool snaps. But now we are having an Indian Summer. Where were you raised in the south? I’m still working a few shifts and still love it, I think about retiring again, but not now. Truman is back fishing for Stripers in Lake Moultrie and enjoying it, even though the fish they are catching are not big enough to keep, fishing has changed in the 38 years that we lived here. By the way, our 38th anniversary was Oct 4th and we wish you well for a long and happy marriage. Nice story, I love that painting also. Hey Anne, well done, nice article !